There are separate criminal and civil penalties from a DUI arrest. There is a civil suspension of driving privileges that arises simply from a DUI arrest and generally takes effect 46 days after the arrest. This is a civil penalty that applies regardless of the outcome of the DUI charge itself. In some instances, this suspension can be lifted or a driving permit can be obtained for limited purposes such as employment, mediacl treatment, or school. 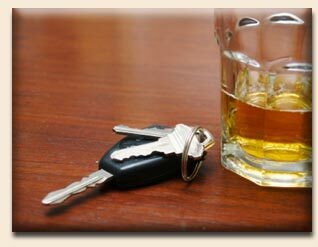 A conviction for DUI results in a minimum 1 year revocation of driving privileges. A revocation is more severe than a suspension. A suspension means that one will be eligible to reinstate driving privileges after the passage of time or the occurrence of a certain event. A revocation means that one can apply after the passage of time but it it within the Secretary of State's discretion to reinstate driving privileges.